and is only available in conjuntion with a valid International Green Week ticket. 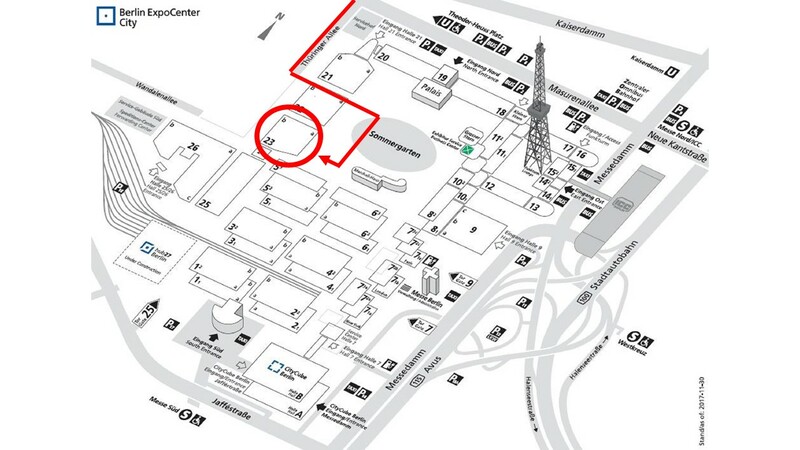 You can easily reach the Hall 23a Berlin by public transport. Take the train (S-Bahn) S3 and S9 to the station „Messe Süd“, which is in short walking distance to the Hall 23a Berlin. Please note that you will need an ABC ticket to pass through the three zones. The Hall 23a Berlin is located at Messedamm 26 in 14055 Berlin. There is no entry to the venue at Wandalenallee or Thüringer Allee. Please note that there is no free parking in the area. Parking is only possible at the parking area P17 and P18.